Have you always wanted to go to India, but never dared going on your own? Do you prefer to have someone who knows India inside out taking care of all the logistics but don’t want to go on a big organised tour? Then this is the perfect trip for you! Halfway between organised tour and backpacking, I will take care of all the logistics and book the hotels, domestic flight and transportation, and I will organise our sightseeing and meals. In this awesome trip, we will have the opportunity to discover some of the most famous Indian monuments, as well as experience the spiritual side of the country, off the beaten track. The trip starts in Delhi on 1st November 2019, when you will be picked up at the airport and taken to our lovely accommodation. We will do some sightseeing, but taking it easy, as it’s your first day in India. On 2nd November, we will discover all the beauties that Delhi has to offer, touring the city in our private transport. For the foodies among us, there will be the opportunity to go on a food walk though Old Delhi, to taste the exquisite food street in a safe and fun way, guided by a local! The 3rd November in the morning we will have some time for the last bit of sightseeing before going to the station and taking a train to Agra. Traveling with the train in India is undoubtedly something not to be missed, be ready for the experience of a lifetime! On the 4th November, we will visit one of the Wonders of the World, the Taj Mahal, a masterpiece of the Mughal architecture and a symbol of India’s rich history. 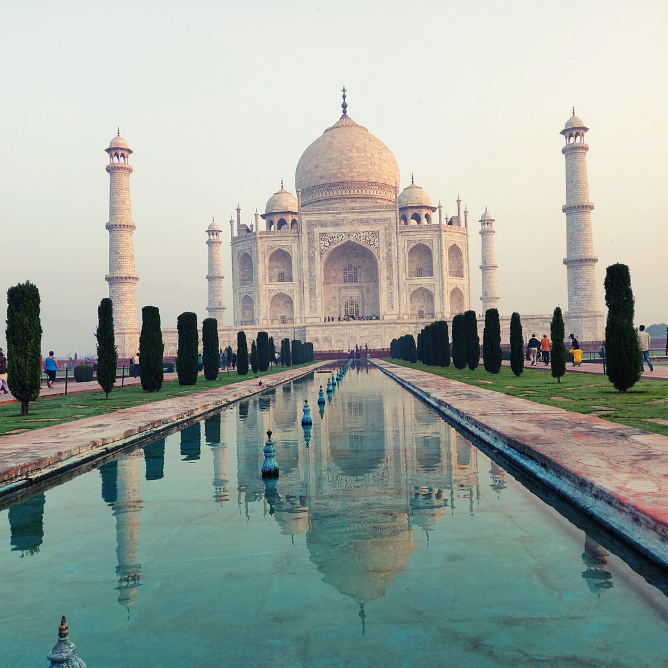 Taj Mahal, “the epitome of love“, is “a monument of immeasurable beauty“. The beauty of this magnificent monument is such that it is beyond the scope of words. We will visit it at sunset, one of the best times to visit, as the monument changes color reflecting the setting sun. 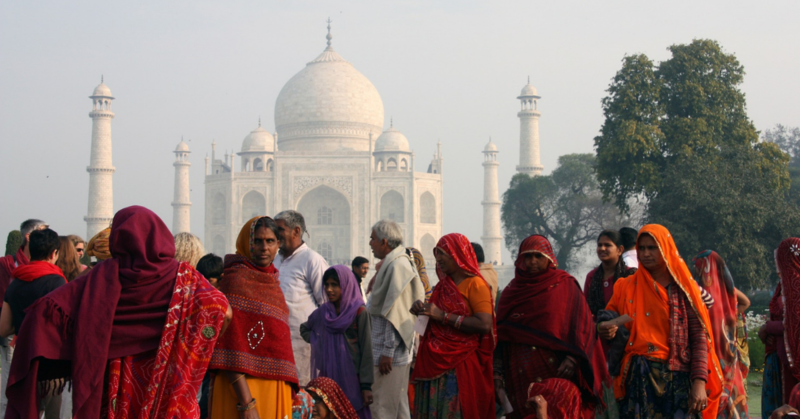 Moreover, when visiting the Taj Mahal in the late afternoon, we will not only avoid the heat but also the crowds. We will also have the opportunity to enjoy other sights in Agra, like the Red Fort. The 5th November is a road trip day, when we will cover the 410 kms that separate Agra from Rishikesh. After enjoying the tourist sights, we will leave behind us the beaten track and enter another world, the world of spirituality. Rishikesh is not on the typical routes in the glossy magazines of the travel agencies. Also known as the ‘Yoga Capital of the World’, with masses of ashrams and all kinds of yoga and meditation classes, Rishikesh’s exquisite setting on the fast-flowing Ganges, surrounded by forested hills, is conducive to meditation and mind expansion. There we will spend from the 5 until 10 November, when we take a flight back to Delhi. In Rishikesh we will enjoy a plethora of activities, from trekking to rafting, from yoga classes with Indian masters to meditation sessions on the banks of the sacred Ganga, from a rickshaw ride to a visit to an ashram for spiritual teachings… Other activities include: the nightly Ganga Aarti (ritual of worshipping the Ganga). visit to the Beatles ashram, a visit to an astrologist, ayurvedic massages and consultation with an Ayurvedic Doctor, reiki healing, chanting, pranayama, cooking classes, tasting delicious food, or simply journaling or enjoying a good book with the view of the Ganga. If you are curious, adventurous, open minded, and ready to go out of your comfort zone and see the REAL India (cows and all! ), then this trip is for YOU! I have been traveling in India since 2008, when I fell in love with the country. I know how things work and how to solve any problem that might arise. 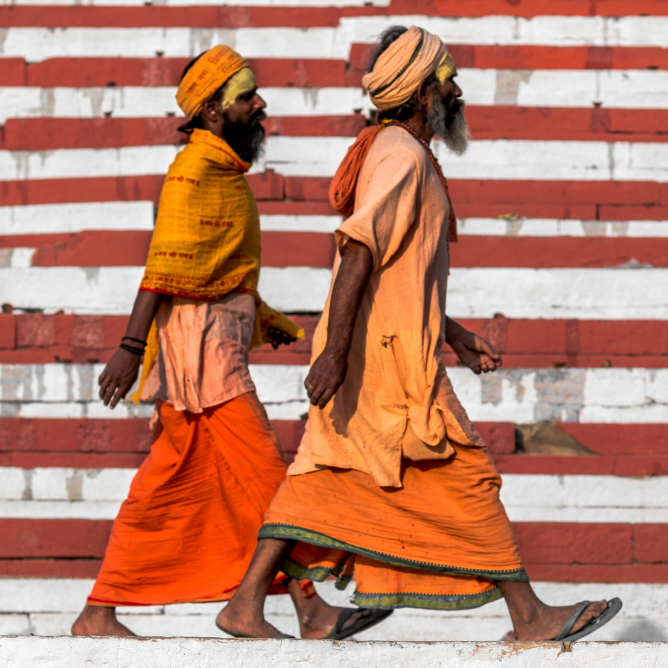 I can guide you through the rich Indian gastronomy, explain the rituals and traditions, and offer some insights into the intricacies of Hinduism. Due to it’s nature, spaces are limited to a maximum of 8 people. We need at least 4 people to make it happen. Price per person in shared accommodation is 1390€. Price per person in single accommodation is 1590€. Domestic flight (Dehradun-Delhi), train ticket from Delhi to Agra, all transportation by private car, all airport transfers, all accommodation in small and charming medium-range hotels, breakfast in Delhi, the practical organisation of the trip, activities in Rishikesh included: 5 yoga classes with the best Indian teachers. Book early to benefit from this unique opportunity to discover North India in a different way, off the beaten track!